Thailand’s army launched a coup last May, purportedly to end the street clashes between opposition and pro-government forces. It imposed martial law, controlled the newsrooms of major media stations, and banned political gatherings. 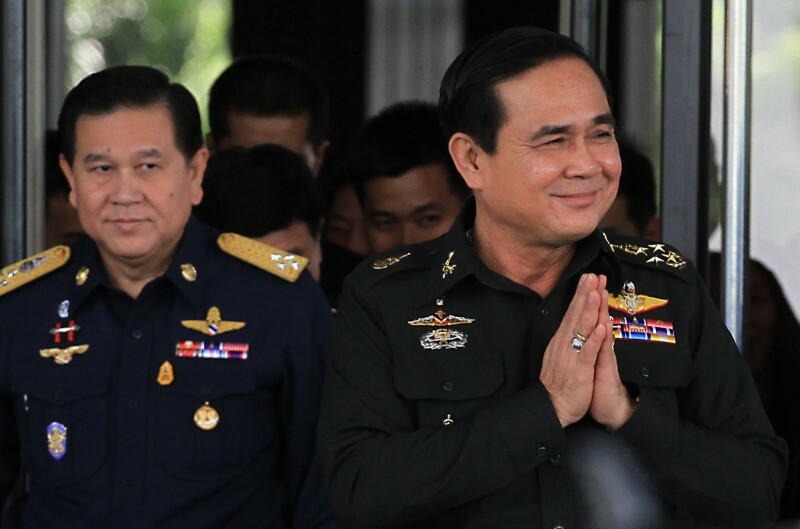 An interim constitution was drafted which led to the establishment of a military-backed civilian government led by General Prayuth Chan-ocha. The new government is known as the National Council of Peace and Order. But martial law remained in effect despite the appointment of civilian authorities. Invoking article 44 of the interim constitution, Prayuth signed Order Number 3/2558 (3/2015) which repealed martial law but imposed harsher security measures across the country. The new order provides for the appointment of “peace and order maintenance officers” from the ranks of the military who are delegated with sweeping powers to defend the security of the state. These army personnel can search homes, summon and arrest troublemakers, confiscate properties, and detain suspected individuals in special premises for up to seven days even without judicial authority. Freedom of assembly is still curtailed as stated in article 12 of the order which bans “political gatherings of five or more persons”. News about the lifting of martial law in Thailand was initially met with skepticism since it was announced on April Fools’ Day. But the Thai junta was clearly not joking when it passed a more brutal law to replace martial law.